The island of Phuket is one of the world’s premier tropical holiday destinations, with more than 1,000 resorts and hotels, but that can make finding the perfect one a bit complicated. 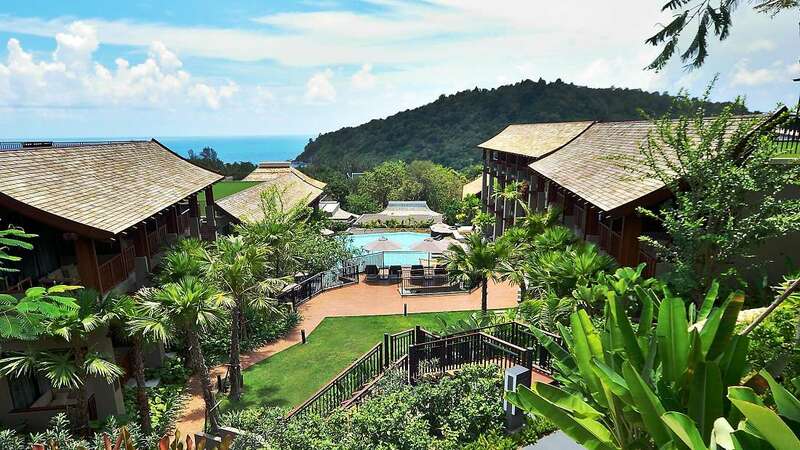 There are over 60 Phuket resorts that are rated as 5 stars, ranging from pleasantly luxurious to totally over the top. If you are taking a romance holiday like a honeymoon you’ll want to stay at a resort that is designed for couples rather than for families with kids. Below you’ll find the 8 best Phuket resorts for honeymoon couples, based on value, location, and strong guest reviews. If your funds are limited you’ll be happy to see that many of these are in the lower price ranges as well, and during the low season months many of them offer amazing value. 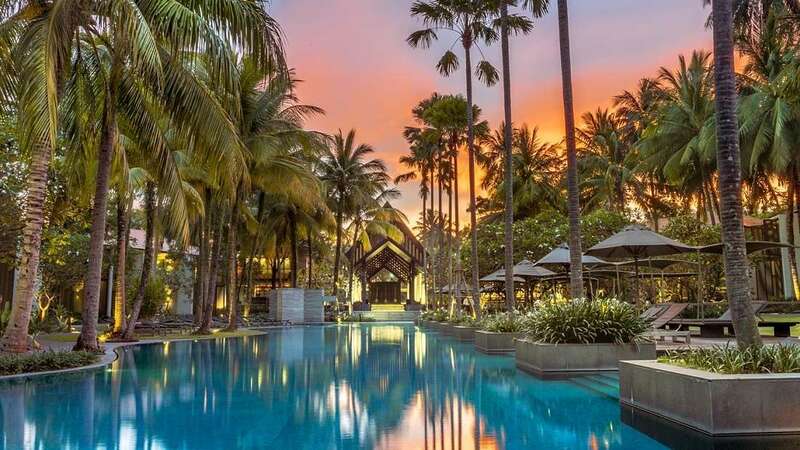 On Phuket, as with most places in the world, the range of 5-star resorts is quite wide, and the places with huge posh villas and private pools charge more than the beachfront hotels with normal rooms and suites. You tend to get what you pay for, but starting with this list you should be finding very good value at any price level. Once you get past the unusual name, you’ll see that Mom Tri’s Villa Royale Hotel is extremely popular among honeymoon couples for quite a few reasons. 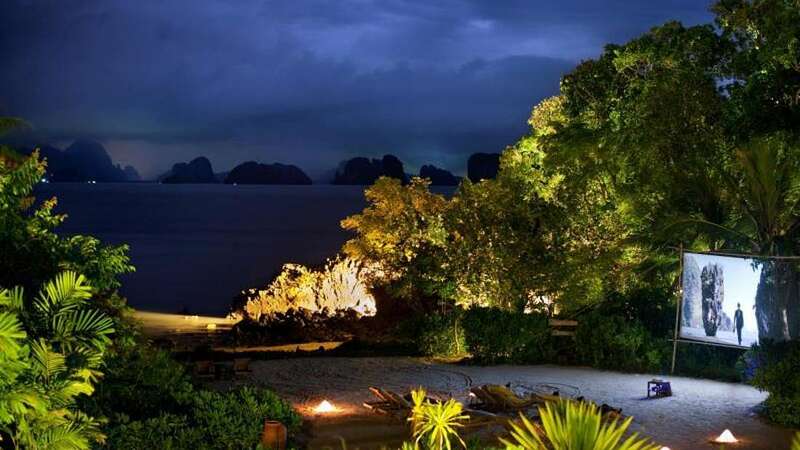 There are only 39 suites in this boutique resort, with each of them overlooking a gorgeous section of the Andaman Sea. The room rates are also very competitive among 5-star boutique hotels, so it gets a constant stream of rave reviews from satisfied guests. Even the smaller suites here have an extra large kingsize bed, a spacious private balcony, and a large bathroom with a separate bathtub. The spa is also 5-star quality yet more affordable than most. The location in a quiet corner of Kata Beach is another great feature, since it’s secluded inside, but not far from local shops and restaurants for those times you want to explore a bit. This resort books up before most others, so it’s best to reserve as soon as you know your dates in Phuket. Six Senses is a small chain of luxury boutique resorts that really stand out in the crowd, including this location on a tiny island just off Phuket. They provide a fantasy honeymoon location, with large villas that each have amazing and private views. The bedroom areas are posh and air conditioned, while the rest of the villa enjoys an open-air style that allows tropical breezes to keep guests comfortable all year round. 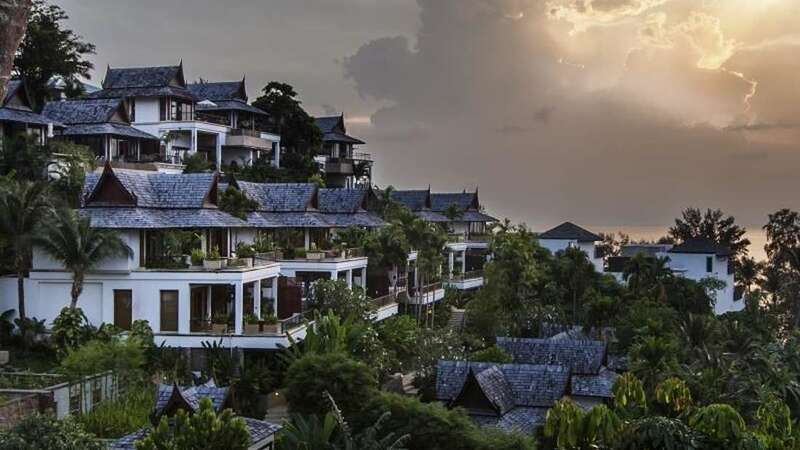 The only issue for most people on the Six Senses Yao Noi Resort is the price, as this one is near the upper end of even the 5-star Phuket range. For those with the budget, this would be perhaps the finest resort you’ll ever stay at, which is an obvious goal for honeymoon couples. The spa here is exceptional as well, and they also have a gym and tennis courts for those with extra energy. 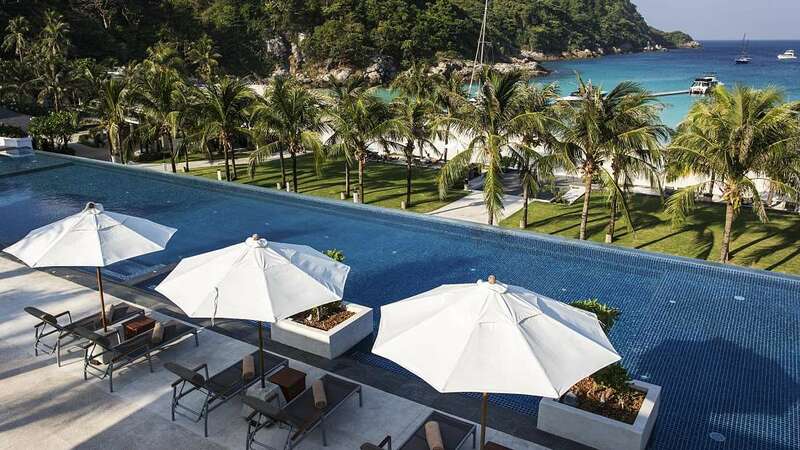 Another tiny island experience, the Racha Hotel is located a short ferry ride south of Phuket, and each of its 85 private villas comes with an infinity pool and an outdoor rain shower. Inside there is a luxurious bathroom with separate shower and tub, and the room comes with an iPod and a Bose sound system to help set the mood perfectly. Even with only 85 villas, there are 5 restaurants and bars, and each is something special. There’s a fitness center and yoga classes, and of course a 5-star spa with a variety of treatments. Reviews here are phenomenal and the room rates are quite reasonable considering how large and modern the pool villas are. During off season the deals are even better. Located directly on the beach in a quiet part of Phuket’s nightlife town – Patong Beach – the La Flora Resort is a perfect choice for romantic couples who also want to be close to the action. Room rates here are quite low for the 5-star category, and it might be only 4 stars in some systems, but it’s a popular and very well run beach resort with an enviable location for the nightlife set. The La Flora also has two gorgeous lap pools in its calm courtyard area, plus many of the larger villas have private pools. In spite of the modest rates, you get large rooms with a sofa area, bathrobes and slippers, plus a minibar stocked with free beer and soft drinks each day. There’s also a spa, two restaurants, and 24-hour room service. It’s not as luxurious as most others on this list, but it offers great value for the right couples. This small and exclusive beach resort features 48 villas that each has a private infinity pool on its front deck overlooking the Andaman Sea. 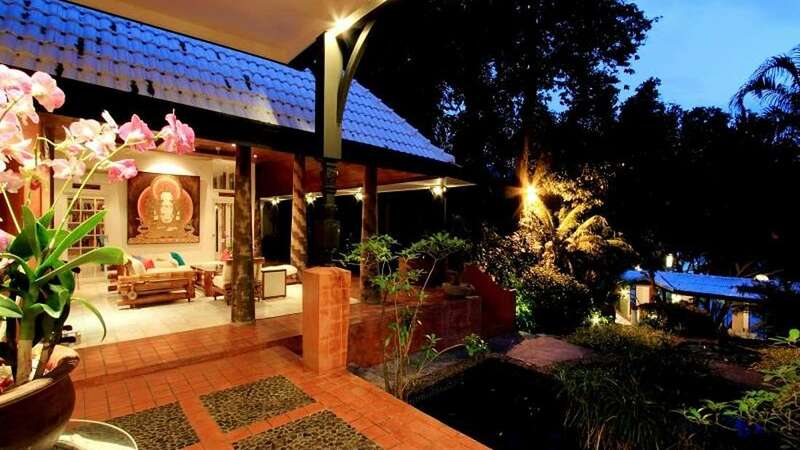 The villas themselves are all very modern and large, and filled with luxury amenities. This resort is another that is very popular for honeymoons and it seems to be booked up before many of the others, so if it looks right it’s wise to reserve early. The location here is another great feature, as it sits on a quiet and classy section of Kata Beach, not too far from some nearby shops and restaurants, and only a short taxi ride away from the shopping and nightlife center of Patong Beach. So couples can spend quiet days on the beach or in the spa, and dine in a romantic restaurant or hit one of the upscale lounges in the evening with little effort. 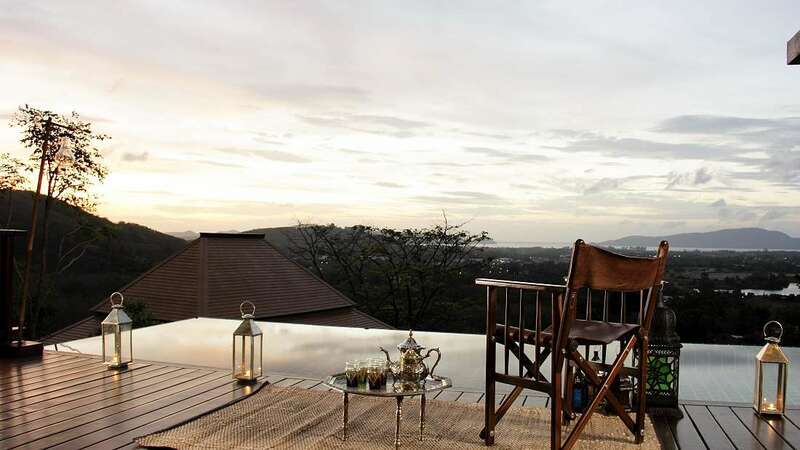 Another excellent choice for romantic couples without an unlimited budget, the Ayara Hilltops Boutique Resort & Spa has only 48 suites, all at modest prices for the 5-star category. Even the Junior Suites here are quite large, but there are 8 other classes of rooms from which to choose that are even larger. The hilltop resort has excellent sea views, and it’s a short walk to the mellow Surin Beach. 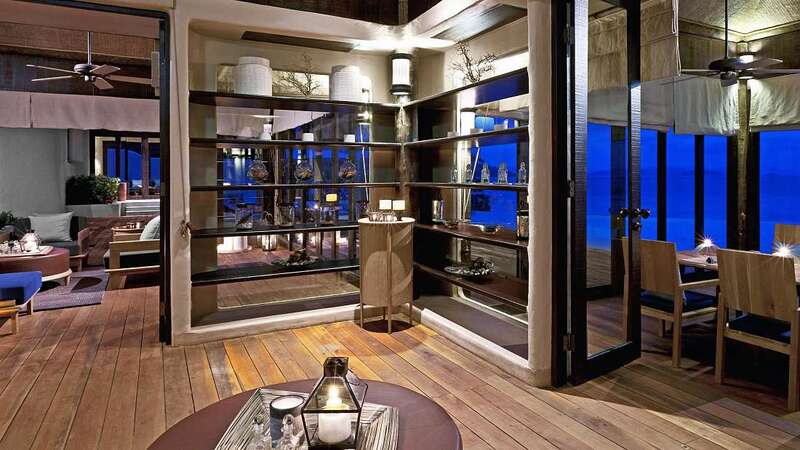 Each villa also comes complete with its own Jacuzzi as well as bathrobes and slippers. 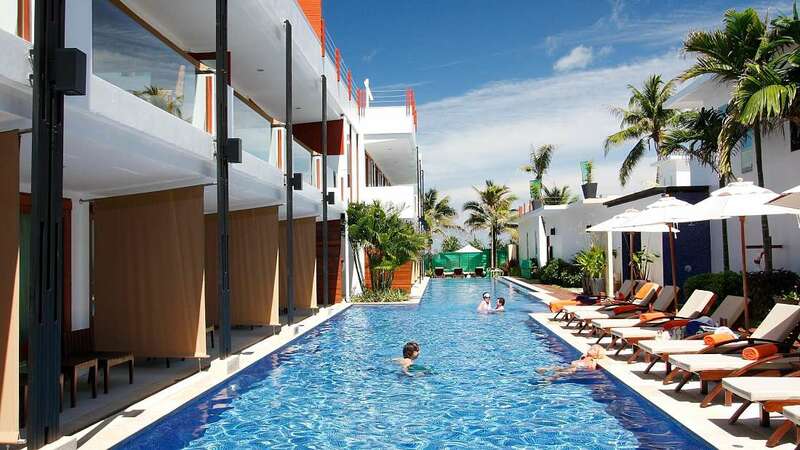 They also have a main swimming pool, a fitness center, and free wi-fi throughout. Even with only 48 suites, this resort is nicely spread out, and a golf buggy is available to carry guests to their rooms and back. It’s also located reasonably close to other shops and restaurants in Surin Beach, and perhaps a 15-minute taxi ride into Patong. 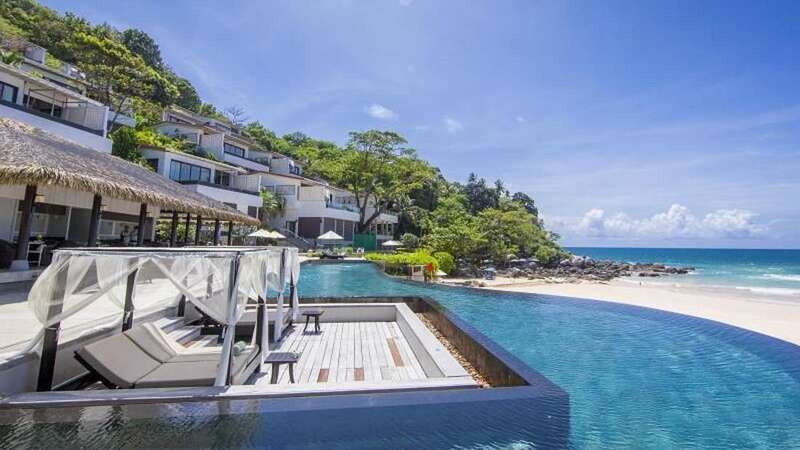 Another in upscale Surin Beach that is nearby the Ayara Hilltops Resort, the Twinpalms Phuket Hotel has 97 rooms and suites, all the way up to its Presidential Penthouse. The beds here are oversized, as are the rooms, and each comes with a large private balcony. Many of the larger rooms and suites come with a private pool, but the resort has several large salt-chlorinated common pools for all guests as well. The onsite Palm Spa is very popular with honeymoon couples looking to pamper themselves, and the resort even has wedding facilities available. The location is another that is secluded and quiet yet conveniently close to various restaurants and shops, plus the shopping and nightlife of Patong not far away either. For romantic couples who value a green and gorgeous setting more than being on the beach, the Villa Zolitude Resort & Spa is a perfect choice. Each of the 45 villas here has its own private pool and a small private garden surrounding it. As an all-villa resort on a large property, it never feels crowded here, even when it’s full up. The resort’s name is a big clue that this place is designed to be peaceful and posh, and guest reviews are generally raves. The most important thing to realize is that the location is secluded and can be difficult to find at first, so it’s not a good choice for couples who want to spend days on beaches and check out the Patong nightlife regularly. Accessible only by a speedboat, The Naka Island a Luxury Collection Resort & Spa serves as an oasis from the hustle and bustle of everyday life. With 67 different rooms to choose from on Hakha Yai Island, romantic couples can have their pick as there are 4 different styles available, each with access to the pool. Each room also comes with an open air sunken bathtub, refreshment center and a steam shower. Due to the location of the resort, guests have access to their own private beach, which is great for honeymooners who aren’t looking to share their sandy spot with other vacationers from various resorts. There is also a great spa on-site that not only offers the usual treatments, but also a pool, steam room, sauna and an ice room, something that’s not commonly found at other resorts. Though kids are allowed on-site, very few families choose this resort as there are few kid friendly activities available, so you shouldn’t run into a lot of young kids as you’re trying to enjoy your solitude. hope you doing pretty good. I would like to book a private spa for a honeymoon .